Decided to give a fuel & turbo system cleaner a go as I thought I could hear my turbo whistling and noticed a gradual decline in performance. Wanted to try and nip the problem in the bud as early as possible. Also thought it was worth testing Archoil's claims about cleaning out the fuel system which could lead to improved mpg figures. 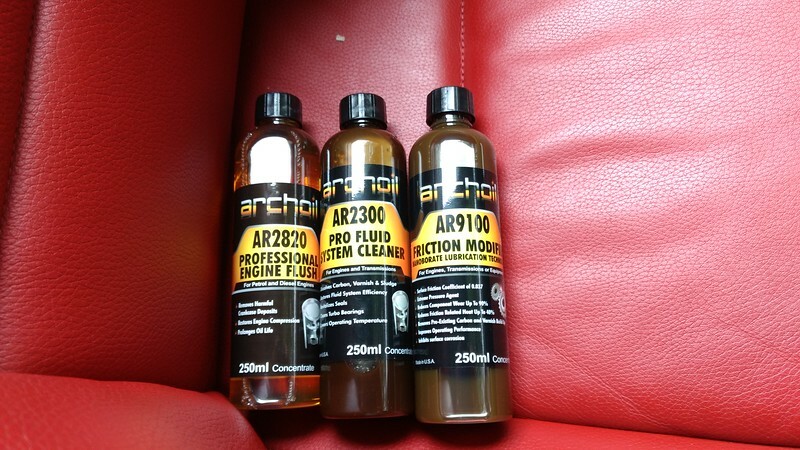 Did a lot of research before purchasing and decided to give Archoil's AR6400D a go as it's a PEA based concentrate - I won't go into details on here but for anyone interested, have a google, sceptic or not, it seems that PEA based cleaners are the ones to go for. Product came with a small bottle of AR6200 fuel modifier and i'd also ordered some AR6300 for on-going treatment. Easy enough to use, waited until the car had around 10 miles range then added in a full bottle of the AR6400D, filled up 45Litres with Shell's VPower and added 15ml of the AR6200 as recommended. As for increase in fuel economy... I didn't change my driving style or my usual commuting routes. Previously I would typically get 28-32mpg. After covering 380 miles the trip computer was showing 36mpg so seems like there was an improvement but perhaps too early to say for certain. I've now re-filled the car with cheap supermarket fuel and added the recommended dose of AR6300 so will update on here what mpg return I get. I've already done a 40 mile congested run (e.g. 45 mins to cover 5 miles ) and have some long distance motorway driving coming up this weekend. Typically i'd expect 42-47mpg so will see what it comes out at! At this stage I'd recommend Archoil's products. Need my gearbox servicing and currently considering their gearbox cleaning fluid too but will need to speak to my indy about that first. Last edited by raptor_f22; 07-09-2016 at 09:34 AM. Interested to see how you get on with this. Ive used V-Power vs supermarket fuel an i have to say i struggle to tell the difference. Maybe my 320d is less fussy? also didn't realise turbo whistle was a sign of degrading performance. thought they all whistled? 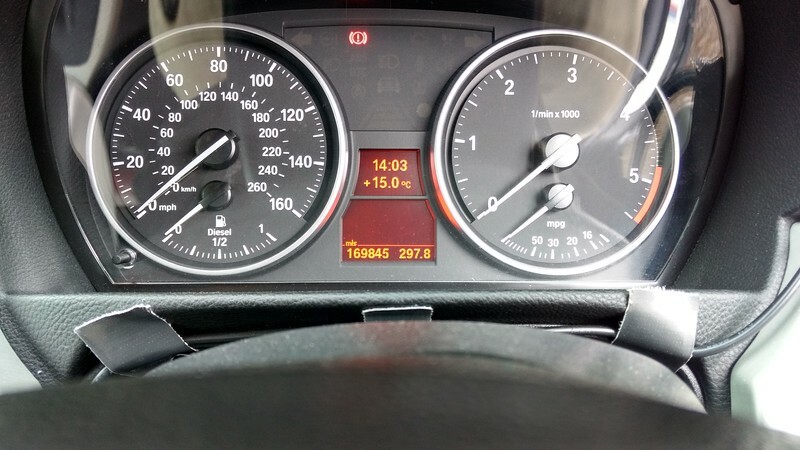 How many miles has your 320d done? hmm not sure ive got either a whistle or a whine. Its done just over 156k but the turbo has been replaced at around 100k so it should be ok.
thing im more concerned about is the injectors think they could be starting to wear. wondering if any of these treatments help. not sure if the injectors genuinely do wear out or if its just caused by build up? I'm not sure how easy they are to get to but any way of taking them out to look? 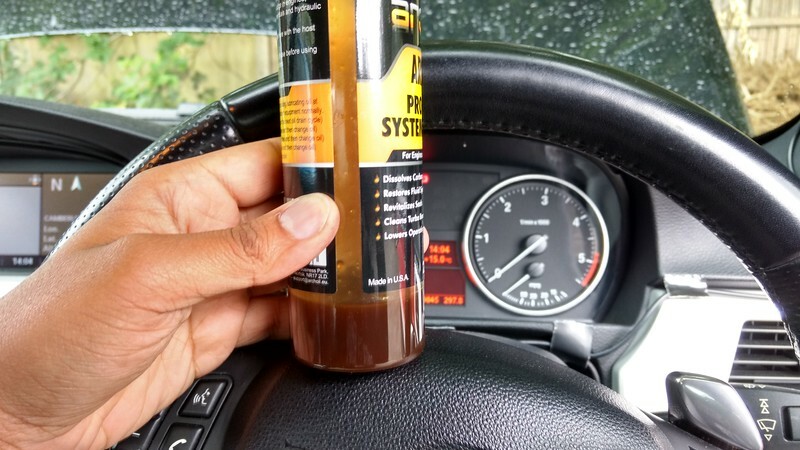 If this stuff made it's way into your turbo to fix it then your car has some serious issues! I guess it could clean the exhaust side of the turbine? Maybe the whistle was from somewhere else? Glad you are happy with the results though. Last edited by djgandy; 05-31-2016 at 02:16 PM. Not sure at this stage, there's definitely been an improvement in the turbos performance though, doesn't feel as sluggish - although I admit that could be for a number of other reasons. It's so hard with products like these to pin point what results they're responsible for (if any) but I'm still on the positive side for now. My dad's Mercedes B200 CDI Auto has a horrific rough idle and 97k on the clock (non turbo model). I might give it the same treatment and see if there's any change in that. I agree! Great prices too. Have you used any oil conditioners or the gearbox treatments before? OK....so I have been running this for a week - done 200 miles and possibly another 30-50 miles before reaching half tank (Tesco diesel). Bear in mind - London city driving......Performance difference is instantaneous, power delivery smoother and acceleration more responsive. I decided to also purchase DPF treatment but will add that on next fill up. So far so good. Nice, glad it worked for you! I've now covered around 1500 miles since first using the cleaner and have added the AR6300 at two full tanks of cheap diesel. Will review those as well and let people know how I get on. Seems like Archoil aren't as widely known as BG and Tuna in the UK. I've only read good reviews about them and my experience is good so far - would be really interested to hear from anyone who's not had a good experience with Archoil please! I dont think its 15ml of ar6200, according to the ratio should be 1ml for 50 litres? so for 50l 10ml, so roughly 15ml for a full tank. Took them over to my local indy - TWG Automotive. Will had a quick look, I think he said he's not used Archoil before but the concotion seemed to be solvent free which was definitely a positive. So will be a first for us both. It says on the Archoil website for the AR2300 to be fully effective in fully synthetic oils you need to run it for 4000 miles. I don't think I'll do more than 1500 before my service is booked in but took a snapshot anyway, so will describe what the effects are after the service. Some cleaning is better than none in my opinion.